Many tension headaches are caused by anxiety, nervous tension, eyestrain, tight muscles in the shoulder and neck area and poor posture. Migraine headaches have been found to be caused by the expansion of blood vessels in the head. Headaches can also be caused by colds and the flu as well as allergies, digestive problems and hormone imbalances. Chiropractic care – has been found to help with headaches because headaches have been linked to spinal problems. The spinal condition is called a vertebral subluxation which is when areas in the spine are restricted or bones are out of alignment. Migraines have been relieved with chiropractic adjustments because the misaligned neck has been corrected. Aromatherapy – lavender eases physical and mental stress, and majoram has relaxing properties. When you add 5 drops each of lavender and majoram essential oils to a basin of cool water. Soak two washcloths in the water and wring out lightly. Lie down and place one washcloth on your forehead and one on to the back of your neck. Rest for 30 minutes. Valerian – helps ease the pain of tension and migraine headaches. Valerian is available in capsule form or in powder form. In the powder form, take half a teaspoon of valerian extract diluted in warm water. Drink the solution every 30 minutes until the pain has subsided. In the capsule form, follow the directions on the container. Herbal tea for tension headaches – Ginger will decrease the production of pain-causing chemicals in the body. Chamomile and linden are mild relaxants that also help ease emotional and physical tension. Take 1 cup of water, 1 teaspoon of fresh chopped ginger root, 1 teaspoon dried chamomile, and 1 teaspoon of dried linden. Simmer the ginger in the water in a covered pot for 5 minutes. Remove from the heat, add the chamomile and linden and let steep for 10 minutes. Strain and sweeten the tea if desired and drink it hot. Footbaths work wonders – try immersing your feet in a bucket of water as hot as possible for 15 minutes. While your feet are soaking, wring out a washcloth in icewater and place the cold compress on your forehead, temples and back of your neck, or wherever the pain is coming from. The hot water actually dilates the blood vessels and increased the blood flow to the feet, while the cold compress constricts the blood vessels in the head, reducing the volume of blood flow and in turn reducing the pain. Decrease the mucus – a large factor of sinus headaches is the accumulation of mucus in the sinuses. Try eating spicy foods such as horseradish and hot peppers, which will increase the flow of blood and actually loosen the secretions of mucus in the sinuses. The congestion is then relieved and also relieving the headaches associated with the sinuses. Try a massage – a simple acupressure can help relieve a tension headache. Place your fingers at the top of your spinal column, where your neck meets the skull. Move your fingers along the base of the skull until you feel the indentation on either side. These points will feel tender as you apply pressure. Using the pads of your fingers apply pressure in a circular motion, the deeper you massage the better it will be. Remember to breathe deeply and imagine the you are releasing the tension with each exhalation. Continue for 1 – 3 minutes, it will be even better if you find someone else to do the massage so you can truly relax. Try some of these natural remedies and watch your headaches melt away. Call our office today for a FREE consultation … Chiropractic works! As a Chiropractor I found this to be very interesting. I came across an article that mentioned how Chiropractic care can help children with Autism. Well, that sparked my interest because I know many who have children with this dreadful problem and find themselves helpless. This article was written by a world-renowned chiropractor for children, Dr. Joan Fallon. She stated that more and more parents of children with developmental issues were seeking out chiropractors. She believes, as I do, that many times children with developmental issues, especially children with autism, experience sensory integration problems. Sensory integration disorder is defines as ‘the disorganization of the multi-sensory input into the body.’ People who suffer from this have profound and often dibilitating difficulty with touch, taste, smell, sound or visual input. Which means they have difficulty processing incoming sensory information. So for instance, when in a mall or playground, most of us can block out sounds and talking that occurs around us. However, a child with sensory integration problems has difficulty filtering out the noises effectively, so it all comes at him/her all at once. Dr. Fallon believes that Chiropractic can help children with these problems, because Chiropractic care can get to the root of the problem by helping correct the imbalances in the nervous system. Imbalances in the nervous system are caused by ‘subluxations’ in the spine. 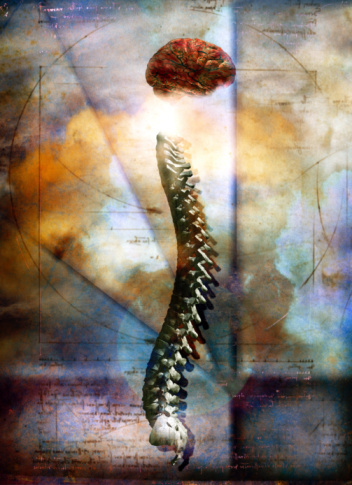 Chiropractors correct ‘subluxations’ in the spine. What are ‘subluxations’? It is when two or more segments in the spine with the disc between are misaligned or lost its proper position. Subluxation can cause a numerous amount of problems in an adult and in a child it is much worse. As Chiropractors, we determine the areas of subluxations, misalignments and put them in the proper position. When subluxations are corrected, the body is brought into alignment and able to maintain the integrity of various systems within the body, including the nervous system. Much more research has been done offering hope for children with autism. Chiropractic care believes that healing of the body comes from within. We as chiropractors, maintain the spine in alignment, therefore allowing your body as a whole to function at its optimum level. We have seen children with these same conditions, improve tremendously with Chiropractic care. Give Chiropractic a chance and a child with autism a chance to live a symptom-free and healthier life. As a Chiropractor, its funny to read and hear folks talk and write about back pain. Many times there is truth and validity regarding their back pain but there are also many myths that should be dispelled. Here I will discuss just a few Myths along with Facts related to back pain: First let’s look at some facts. 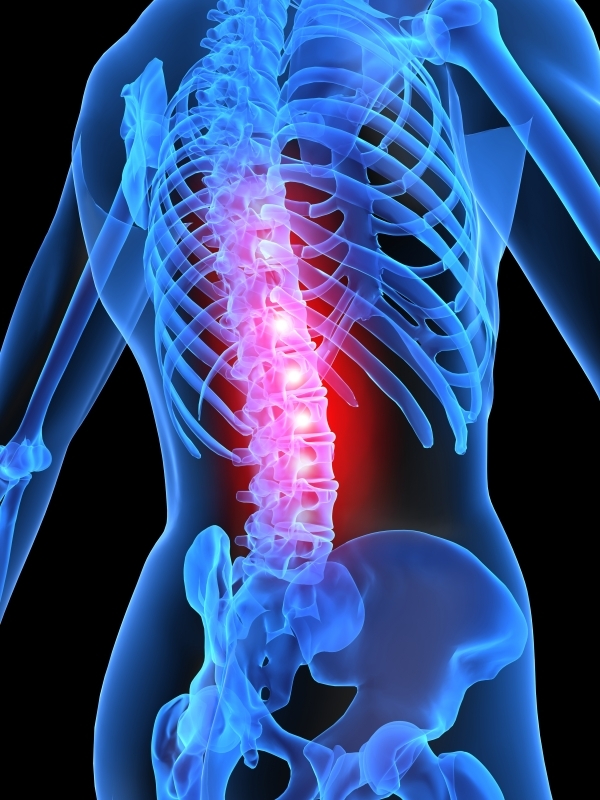 Less than 1% of acute lower back pain is due to a serious infection or condition such as cancer or spinal injury. For individuals who are younger than 50, the rate is even lower. Back pain is one of the biggest disabilities for those under the age of 45, and it’s second to the common cold for the reason to seek a health care provider in the United States. I hope I have dispelled some myths regarding back pain. Chiropractors are detectors of the cause of such pain. We will take x-rays, educate the patient and show them the areas of involvement that may be causing the symptom of back pain. Chiropractic specific adjustments will remove the subluxation, or misalignment that will reduce the symptom. We look for the cause and treat the cause, which in turn will help with the symptom. As a Doctor of Chiropractic we are taught that the body can heal itself, more importantly that the healing comes from above to down then inside and out. So what does that mean exactly? My interpretation is the following. We are given the gift of life from our creator, yet many have chosen to abuse their gift. This gift comes to us in the form of a body which is a magnificent machine. When we are born our machine is clean and pure and our immune system is ready to work and keep us healthy. Some of us choose to immunize in order to help the body stay healthy. That is a different thought process than what is taught to us however, some choices are irreversible so no need to dwell on them. We do however, have a choice to care for our bodies to keep it working at its optimal level. Our body is amazing and it will give you signs and signals when something within it is failing or when you are simply overworking it. It is very similar to any other type of machine we are accustomed to, such as a vehicle. When our vehicles need maintenance, they will show us a signal. Perhaps it’s a light or sound but its a signal to make us aware of a problem. Our bodies work in the same manner. The signals may consist of headaches, coughs, pain or aches and those are ones we must not avoid. Some will choose to take a form of medication to deal with the signal or symptom. However, that is only temporary and will not take care of the cause. Again I will go back to the vehicle analogy. When a light goes off, signifying something is wrong, hence a symptom. Do we mask it with a liquid or gas or do we try to discover the reason for the light or sound going off? I’m sure your answer is the same as everyone else; you try to discover the problem and fix it. Then why do we neglect our bodies? We are only given one body, yet we choose to neglect it or simply mask the symptoms with a pill or worse ignore it all together. Many times the symptom is the last signal to appear and if left unattended will cause greater damage. Why do we choose to take care of our vehicles or electronics more than our most precious piece of machinery? Have we become so complacent that we simply don’t care? Why not start today! Pay close attention to the signals your body is giving you. A headache may be a sign that you are overworked and must rest or it may be a signal to something much worse. A cough may be the way your body handles a foreign substance and is simply trying to release it; let it do it’s job. Instead of masking it, research and ask questions. Become a detective and learn more about your body; after all it’s the only one you have. What will you choose? To allow the body to heal or mask the symptoms? Will you be more aware of the signals or simply ignore them? Will you try to live a healthier life by choosing healthier foods and exercise? Or will you succumb to the daily stressors? The choice is yours to make. PS. Visit Dr. Mommy Health Tips to learn more tips on health and wellness. What is Chiropractic? The chiropractic approach to health care is holistic and natural. It responsibly addresses the relationship between the nervous system and “dis-ease” within the body. The science of chiropractic is based on the fact that the essence of life flows from the brain, down the spinal cord, then out through a massive network of nerves traveling to every part of the body. This powerful life supply of nerve impulses, when flowing uninterrupted, gives us normal and natural health. What is the cause of nerve interference? Chiropractors have led the way in pointing out that displacements of the vertebrae in the spine can pinch or irritate the spinal cord and/or spinal nerves, thereby block the flow of vital communication between the brain and body. These displacements and subsequent neurological disruptions are called subluxations. Subluxations also cause abnormal posture, muscular tension and asymmetry, abnormal inflammatory reactions, and eventual degenerative changes in the spinal joints. Chronic nerve irritation will restrict the body’s ability to maintain optimal health, and the cells, tissues, and organs will suffer. Many illnesses may be manifested due to abnormal body functions caused by subluxations. How does a chiropractor fix subluxations? Doctors of chiropractic specialize in detecting, locating, and correcting spinal displacements. Your chiropractor, once proper diagnostic procedures are performed, will place hands on your back and gently line up the vertebrae in their natural position. This process may take weeks or months depending on the nature and amount of misalignment. As alignment is restored, nerve supply begins to return to the body causing normal function to be reestablished. As your body heals, homeostasis is restored, and optimal health improves. Periodic checkups are recommended for maintenance of the spine. The frequency of wellness care for you and your family is unique and specially designed to the individual; consult with your local chiropractor. The short answer is yes. The spinal joints are under constant stress, and generally have a history of traumatic events since birth. Neglect of the spine, more than any other single factor, is responsible for many of the unwanted conditions we suffer from every day. Therefore, getting a spinal checkup for you and your family is foundational to the health of the body. Optimal health is everyone’s right, and chiropractic is the most effective way to reestablish nature’s design for wellness. The drugless, non-surgical, and natural approach of chiropractic is not only safe for all ages, but might be what’s been missing from your overall health plan. Your chiropractor may be the best doctor to help you and your family reach the health goals you deserve. Call us today for a FREE consultation. Acute – usually due to an upper respiratory infection and has pain, nausea, vomiting, fever and possibly diarrhea associated with it. During the upper respiratory infection, bacteria may cause swelling in the ear and surrounding tissues, making drainage difficult. This inflammation and lack of drainage is exacerbated by the angle of the infant's eustachian tubes, which change in orientation and angle as the child matures. Serous or secretory – this type results when acute otitis media does not resolve fully. The symptoms related with serous otitis media are obstruction of the eustachian tube, accumulation of fluid in the middle ear and hearing loss. Chronic – may result from acute otitis media or from trauma to the ear drum. In this condition, the eardrum or tympanic membrane is perforated. When antibiotics are not effective or fail to halt the chronic ear infection, surgery to insert ear tubes is the next step. The body eventually rejects the tubes and pushes them out naturally. Parents are turning to Chiropractors for help as well as their first line of defense for preventing future episodes. The chiropractic approach to ending ear pain is multifaceted and based on the philosophy of focusing on cause rather than symptoms. Misalignments of the spine called spinal subluxations interfere with nerve flow. Many doctors believe that the eustachian tube blockage occurs when a tiny muscle called the tensor veli palatini becomes dysfunctional. This muscle is innervated by nerves that can be traced back to the spinal cord in the upper neck. When the nerve is impinged causing a subluxation the symptom may result in ear ache. The Doctor of Chiropractic takes specialized courses on pediatric adjusting techniques and use extremely safe, low-force adjusting methods for children. 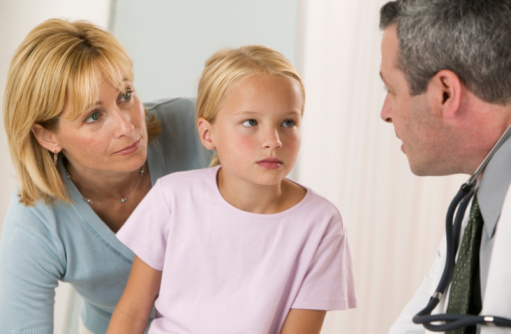 Next time your child is suffering from an ear ache, consider a Doctor of Chiropractic. Dr. Sutherland is a Doctor of Chiropractic in Tampa, Florida and specializes in family care, be sure to contact him with any questions or concerns or make an appointment for a FREE consultation.